NSS Townsville has conducted its first container vessel operation on Berth 4 since the $40 million upgrade completed earlier this year. NSS deployed its two Liebherr Mobile Harbour Cranes (LHM 420 and LHM 550) to carry out a circa 1100-container exchange on the MV Kota Naga (owned by Mariana Express Lines). It was the first ever container vessel in the port to be serviced by two mobile harbour cranes simultaneously. 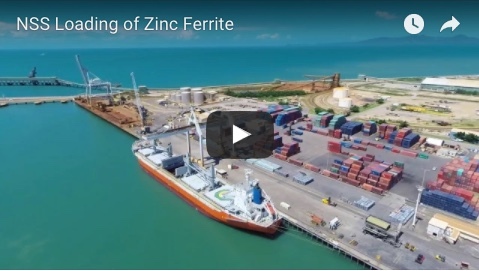 "NSS’s investment in shore cranes in the Port of Townsville has provided the shipping lines calling the port with efficient and cost-effective stevedoring solutions," general manager David King said. "Furthermore, the dual gang operation using two shore cranes simultaneously minimises the vessel’s time alongside the berth and reduces their in-port costs significantly. 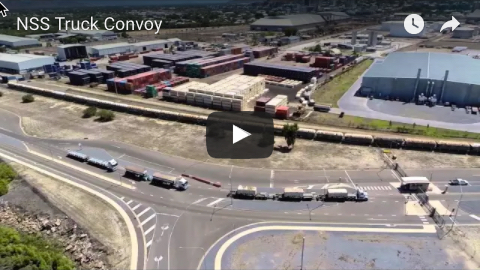 "NSS’s cranes give our customers great confidence in the Port of Townsville’s capabilities, which creates significant flow-on effects throughout the region."